Finding and listening to your music is one of the main reasons someone will visit your website. Your music should be easy for people to find, navigate, and enjoy. 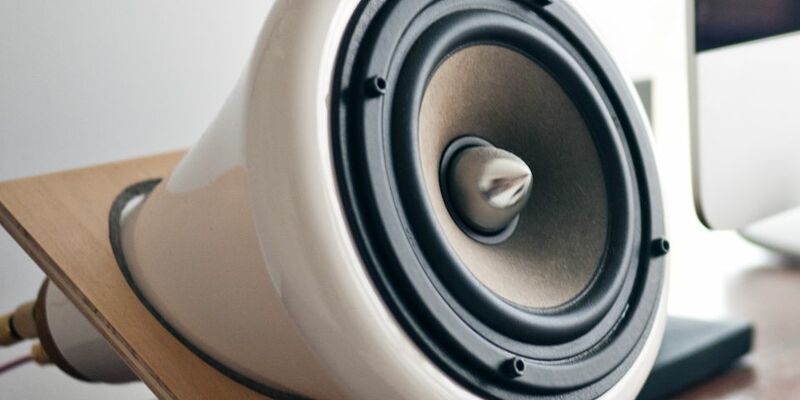 Here’s a rundown on some of the best options for streaming music on WordPress sites. If you have band profiles on different music social media sites like Reverbnation or Soundcloud, you can embed most of those music players right in your website using an iframe, embed code, or code generated by the media site itself. Downsides to this method are that the players are not specifically made for your website, so size and design may not be optimal or customizable. Additionally, most do not support playlist functionality, resulting in a long list of individual players running down a page. If you are running your site on WordPress, there are a ton of different plugin options to choose from. Each is different and will have its own capabilities and adjustable settings. Many use shortcodes and will have add on menus that populate in your WordPress dashboard. Downsides to this method are similar to The Social Route above, and may also include maintenance neglect, version compatibility issues, and the potential for cross device incompatibilities such as not being able to stream via an iPhone. Each premium AudioTheme WordPress theme runs on the AudioTheme plugin. The discography panel was built to showcase your music in an aesthetically pleasing way, allows you to share your lyrics, add media for streaming, and add purchase links for each track and record. You can learn more about the Discography panel of AudioTheme here. Most of our themes also have a dedicated, highly customizable front page player, designed to integrate seamlessly into the overall design of the site. In addition, AudioTheme offers a free responsive playlist plugin called Cue, and a premium responsive plugin called CueBar that anchors to the bottom of any WordPress website and provides continuous playback as visitors browse through different pages. CueBar is a site-wide responsive player that anchors to the bottom of your screen, and allows for continuous playback. 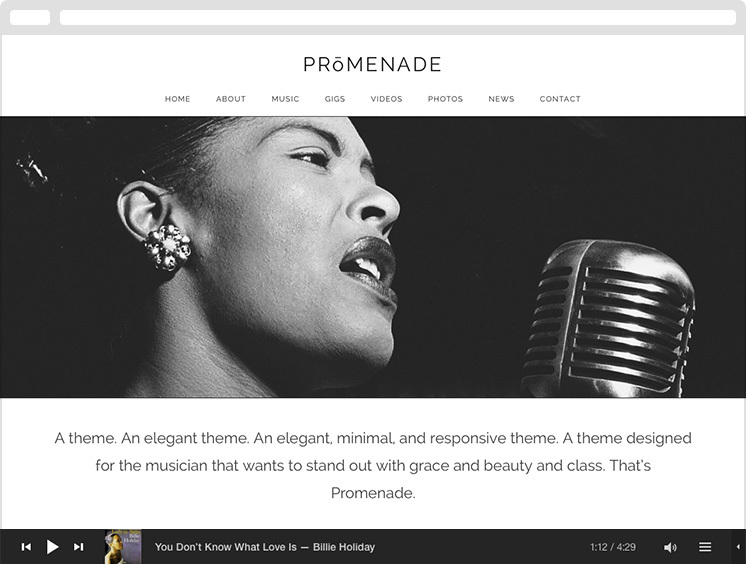 Here it is displayed with the Promenade theme. Regardless of which route you go, it’s important to include streaming on your website so that listeners are introduced to and discover your music. Encourage that discovery through a detailed and organized music offering. And don’t forget — no Autoplay.